In some medical cases, embryo implantation may be improved by injuring the endometrial lining. Injury is defined as scratching the lining of the uterus though researchers in Leichester UK are not sure how effective the treatment really is. 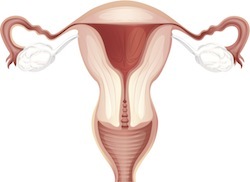 In a recent study, researchers from the University of Leicester and hospitals at the University of Leichester aimed to find out just how effective endometrial injury is for patients suffering RIF (recurrent implantation failure). The researchers pulled data from seven studies for the review. There were 2,062 case studies in all. Four of the studies were randomized and three were non-randomized. According to the results of the previous studies, endometrial injury resulted in a 70% pregnancy rate compared to cycles completed with no intervention in cases of RIF. Conclusion: Endometrial injury can increase the chance of clinical pregnancy by 70% with scratching the lining of the uterus before ovarian stimulation resulting in twice the likelihood of pregnancy compared with telescopic intervention. Source: Potdar N, Gelbaya T, Nardo LG. Endometrial injury to overcome recurrent embryo implantation failure: a systematic review and meta-analysis. Reprod Biomed Online. 2012 Sep 12. pii: S1472-6483(12)00528-7. doi: 10.1016/j.rbmo.2012.08.005.